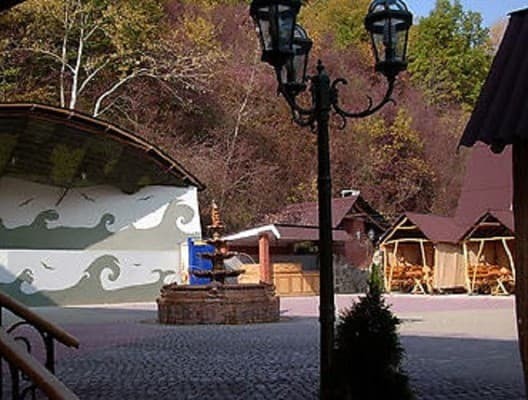 “Orlinoe Gnezdo” Pension is located at the foothills of the Black Mountain on the shore of the emerald Tisa River, in the warmest region of Zakarpatie. Pension offers comfortable double and triple rooms with all amenities, restaurant, bar, tasting room, original terrace, sauna, indoor pool and two outdoor swimming pools, tennis courts, children's playground, healthy programs, organization rafting on the Tisa, skiing, hiking and biking in the mountains, fishing, concerts. There is a conference hall for 100 people with audio and video devices, internet access, ideal for business meetings, conferences, symposiums and seminars. Free Wi-Fi is available. Distance to nearest ski lift is 27 km. Description of the room: Single rooms with separate single beds. 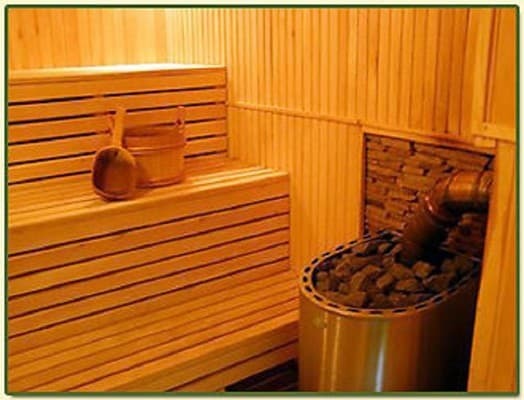 Rooms are furnished with modern furniture made of natural wood. Each room is equipped with a large TV with independent satellite TV, air conditioning, climate control, a refrigerator, a set of dishes, modern plumbing, a shower, an electric dryer and a set of clothes for the pool. Description of the room: Comfortable one-room triple rooms with a wide double and single beds. Rooms are furnished with modern furniture made of natural wood. Each room is equipped with a large TV with independent satellite TV, air conditioning, climate control, a refrigerator, a set of dishes, modern plumbing, a shower, an electric dryer and a set of clothes for the pool. 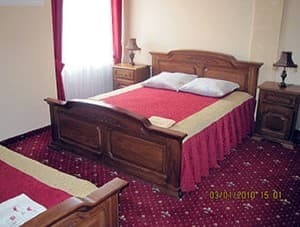 Description of the room: Comfortable single rooms with wide double beds. Rooms are furnished with modern furniture made of natural wood. Each room is equipped with a large TV with independent satellite TV, air conditioning, climate control, a refrigerator, a set of dishes, modern plumbing, a shower, an electric dryer and a set of clothes for the pool. Description of the room: Comfortable triple rooms with a wide double and single bed and furnished living rooms. Rooms are furnished with modern furniture made of natural wood. Each room is equipped with a large TV with independent satellite TV, air conditioning, climate control, a refrigerator, a set of dishes, modern plumbing, a shower, an electric dryer and a set of clothes for the pool. Description of the room: Comfortable double rooms with wide double beds and furnished living rooms. 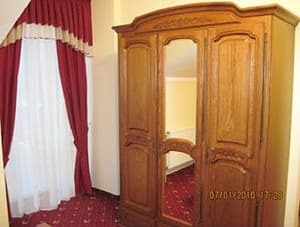 Rooms are furnished with modern furniture made of natural wood. Each room is equipped with a large TV with independent satellite TV, air conditioning, climate control, a refrigerator, a set of dishes, modern plumbing, a shower, an electric dryer and a set of clothes for the pool. Description of the room: Comfortable 4-bed room with a wide double bed and 2 single beds and furnished living rooms. The room is furnished with modern furniture made of natural wood. Equipped with a large TV with independent satellite TV, air conditioning, climate control, refrigerator, a set of dishes, modern plumbing, shower, electric dryer. Сильний запах каналізації в савузлі та номері. Неохідність доплати за басейн, хоча в заявці мало входити в оплату номера. Маловато тени возле самого отеля. It is possible to provide an extra bed (bed), the cost is approximately 100 UAH. 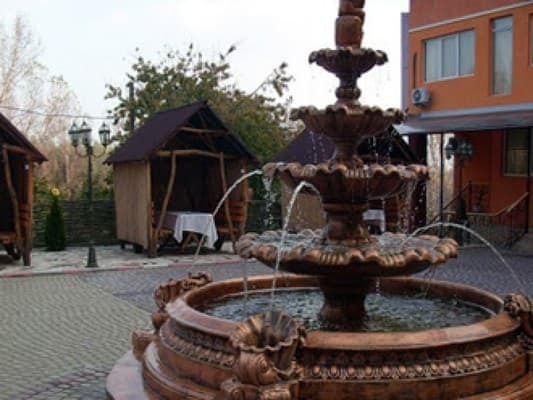 “Orlinoe Gnezdo” Pension is located at the foothills of the Black Mountain on the shore of the emerald Tisa River, in the warmest region of Zakarpatie. Distance to nearest ski lift is 27 km. “Orlinoe Gnezdo” Pension offers a number of medical and health treatments that are applied based on the latest advanced techniques, developed by BTL science center. 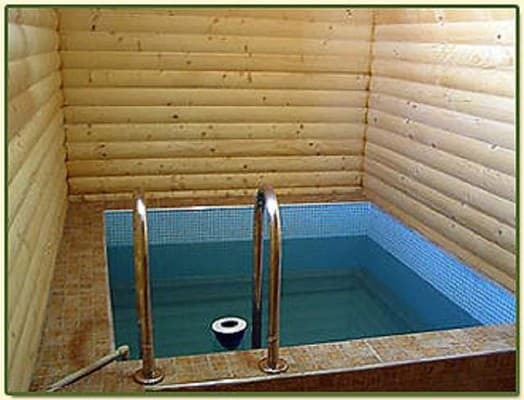 The main methods of treatment and health recovery in the pension: salt room, balneology - several types of therapy baths, underwater shower massage, pressure therapy, combination therapy, pump room with mineral water, massage (including stone therapy), sauna, outdoor sports grounds and swimming pools.